1. Blend tomato, onions and pepper together. 2. Make into a tomato stew. 3. 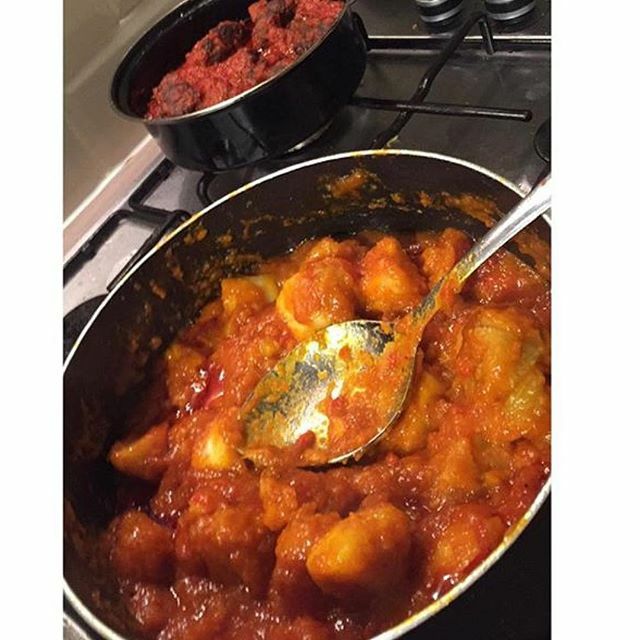 Cut and wash yam and plantain into small pieces. 4. Boil both for 5 to 10 minutes in a generous amount of water. 5. Reduce water and mash yam and plantain into smaller pieces. 6. Add crayfish, some stew, palm oil and spices to yam. 7. Stir and leave to cook for 5 minutes in low heat.